You experience the tensing (calcium) and relaxing (magnesium) interaction of these two elements each time your heart beats, when you feel your pulse, and every time you breathe. When we are under stress, our cells—which in their resting state contain magnesium—go through a change. Calcium, normally outside the cells, enters the cells and the calcium level becomes high. This is the action state in which a muscle cell, for example, will contract and tense the muscle. The magnesium then pushes the calcium out of the cell and the cell is again in its resting, relaxed state. Think of it as an on-off switch. The “off” is magnesium and the “on” is calcium. But what happens to a cell that is not in balance—where the magnesium level in the body is deficient? In simple terms, the “off” switch doesn’t fully turn off. That means calcium can continuously leak into the cells and stimulate cell activity (the “on” switch). The result is stress accompanied by one or more of the magnesium deficiency symptoms. Magnesium helps your muscles and nerves function properly; it keeps your heart rhythm steady, supports a healthy immune system and also assists in keeping your bones strong. This essential mineral helps regulate blood sugar levels, promotes normal blood pressure and is required for producing and storing energy. 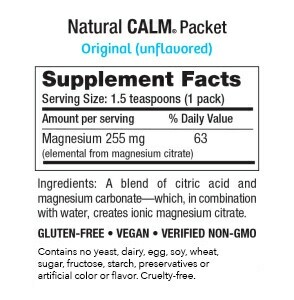 It’s easy to see why many researchers say that no single dietary factor is as critical as magnesium. Calcium deficiency can be a serious issue. It is an important nutrient your body needs every day, but too much calcium can also be a problem. The recommended adequate intake of calcium according to the National Institutes of Health, Office of Dietary Supplements, is 1,000 mg for adults aged 19–50 and 1,200 mg for 51 plus. There are many adults who are taking 1,200–1,500 mg of supplemental calcium in addition to their dietary intake of calcium (an 8 oz cup of low-fat fruit yogurt contains 345 mg of calcium and one cup of nonfat milk contains 306 mg). Unassimilated calcium can end up in the soft tissues of the body where it deposits and hardens (calcifies) or in the urine where it may result in kidney stones. Unless calcium and magnesium are properly balanced, magnesium becomes depleted (too much calcium can itself deplete magnesium levels). This can result in an inability to quickly recover from stress and can itself be a source of stress. Most people don’t get enough magnesium, including many who already take magnesium. There are two reasons for this: the amount of magnesium required by the body is greater than people think and many magnesium capsules and tablets are not completely absorbed by the body. Magnesium deficiency can be caused by a number of stresses on the body, including—but not limited to—lack of adequate dietary magnesium, emotional stress, some drugs (diuretics, antibiotics, oral contraceptives, insulin, cortisone), heavy exercise, diabetes, gastrointestinal disorders and too much calcium in the diet.